Wayne Delker has been named the Executive Director of the Coleman Fung Institute for Engineering Leadership. He is responsible for the overall Fung Institute leadership experience. “Wayne has gone above and beyond to help our organization develop a strategic path forward with tangible objectives,” wrote Beth Leven, Director of Academic Affairs at the Fung Institute. Since 2016, Delker has been directing the Capstone experience, a nine-month experience in which students have the opportunity to work on hands-on projects of their choice. Over the past two years, Delker has adopted many new models of running these Capstone projects. It was his vision to have industry professionals coach project teams, for instance. 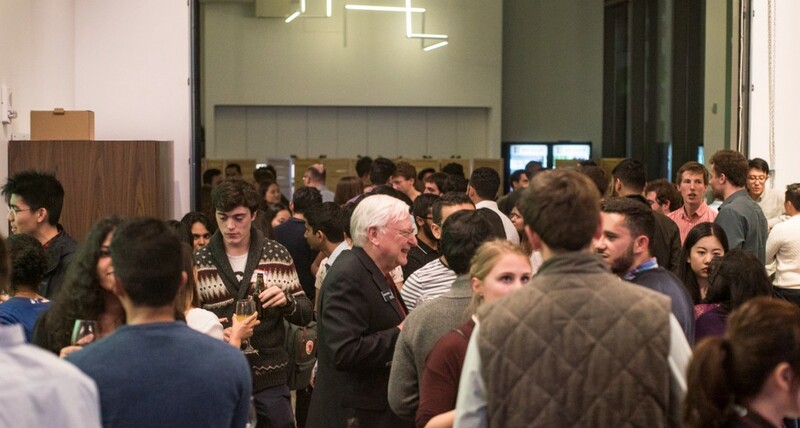 Now companies in fields ranging from automotive to insurance are leading exciting projects that give students even more exposure to the real world. Going forward Delker hopes to improve the quality of every Capstone project. 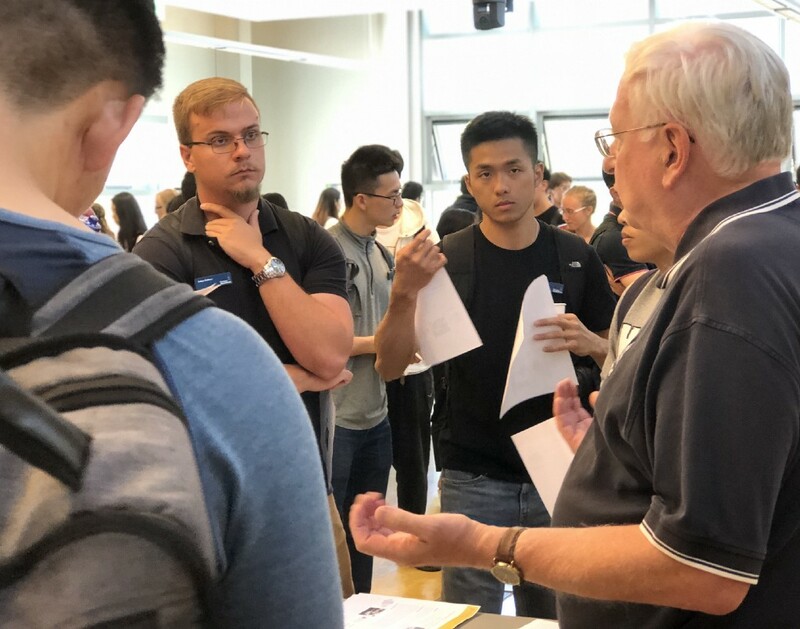 Wayne Delker, right, speaks to Class of 2019 MEng candidates about the GM Capstone project at the annual Capstone Info Fair. “We have some really spectacular projects and those students have a wonderful experience. We also have some projects that aren’t as good,” he said. “One of the things that we’re working on is how do we make sure every project has that same really rich experience that the best projects do.” Delker and his team have also revamped the curriculum to give students more hands-on opportunities to hone their leadership and collaboration skills. Students can then apply these skills to their Capstone projects, creating more integration between the two. The new curriculum will be rolled out this week. Delker also wants the institute to provide value for students even after they graduate. The Career Development team, directed by Julie McShane, is working on establishing a LinkedIn-like database that would allow alumni and students to connect with and support each other. “We want to be a part of our graduates’ success throughout their entire career,” Delker said. Before joining the Fung Institute, Delker spent most of his career in business, with 15 years at Clorox as Chief Innovation Officer and Senior Vice President of research and development (R&D). Prior to that, he worked with General Electric (GE) in several R&D and engineering roles, culminating as General Manager and Director of R&D for GE Silicones. His experience has given him a unique perspective on the future of technology and leadership. “The world is becoming a very technical place. As you look across the world now, we have many serious problems like global warming and energy insufficiency that are very technically complex issues. We need our technical leaders to solve them and those are who our students are,” he said. A 2013 study from the University of Oxford estimated that close to half of all jobs in United States are at risk of automation. Delker said that this could potentially lead to two futures, one in which repetitive and mind-numbing work are eliminated and people have more time to engage in creative activities, the other in which high unemployment leads to society falling apart. “Our institute is creating leaders for that future. We have a responsibility to help our leaders pick the right path and avoid the negative path,” he said. 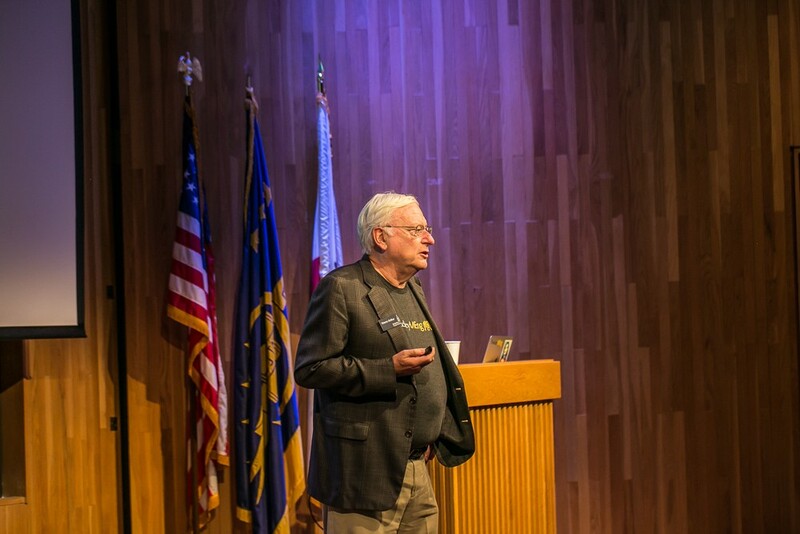 Wayne Delker named Executive Director of the Fung Institute was originally published in Berkeley Master of Engineering on Medium, where people are continuing the conversation by highlighting and responding to this story.